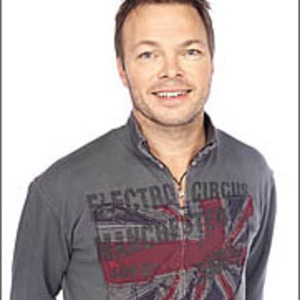 Pete Tong is Britain's best-loved dance DJ. He doesn't need an award to prove his popularity and he won't act cool to keep his credibility. The host of Radio 1's ground-breaking Essential Selection show for a staggering eight years, he works within the mainstream, but is respected by the underground. Born in Dartford, educated in Rochester and inspired in his teens by the underground soul scene of the late seventies (and the music of the time...by the likes of Funkadelic, James Brown & Evelyn "Champagne" King) Pete's first DJ job was at a wedding. Born in Dartford, educated in Rochester and inspired in his teens by the underground soul scene of the late seventies (and the music of the time...by the likes of Funkadelic, James Brown & Evelyn "Champagne" King) Pete's first DJ job was at a wedding. He was 15 years old. A natural born entrepreneur, he began promoting local bands, booking gigs in a nearby town hall and - as part of the Kent 'Soul Mafia' - playing black soul & dance music in every club that would give him a gig. After leaving school, he bought a Transit van and set up his own sound system. During '98, Pete made his first forays into television, an area he is keen to explore. In November, he donned different guises to present Clublife, a 90-minute, BBC-broadcast documentary based on Mixmag magazine's annual dance awards. However, when he does appear with his own TV programme, it won't be for want of publicity. In the past, he has turned down offers to present Radio 1's high-profile breakfast and Top 40 shows, not to mention Top Of The Pops. In the meantime, Pete has plenty on his plate. He is a director of Wise Buddah, the production company which makes radio programmes presented by Danny Rampling, Seb Fontiane and Judge Jules and continues to work in A&R for London Records. His pop star credentials include A&R-ing Shakespeare Sister's hit Stay, which topped the charts for six weeks in '92, and played a big role in signing All Saints, whose career he continues to oversee. He was recently musical director on films, Human Traffic and The Beach. The year 2000 proved to be a milestone for Pete - he toured the US for the first time which saw queues around the block, he played on the terrace at Space in Ibiza for the first time, he played in Cape Town and Johannesburg and hosted his own float at Radio 1's 'Love Parade' - "standing on my float with Jon Carter and Darren Emerson in front of 250,000 Radio 1 listeners was just the best feeling ever - a real moment in history". 2001 is proving to be an equally exciting year for Pete with another tour of the States starting in March and his first tour of South America scheduled for later in the year. Keeping his feet on the ground in the UK, Pete continues to be a valuable part of the British club scene with regular gigs scheduled at Tribal Sessions at Sankey Soap in Manchester, Code in Birmingham and many other credible commitments. He still remains a key figure at the UK summer festivals including for the first time a performance at T-In The Park as well as his yearly appointment at Creamfields and Homelands (Foot and mouth permitting). Pete's Radio 1 show "The Essential Selection" is now the most listened to radio show on the internet attracting a global audience of over 12 million.